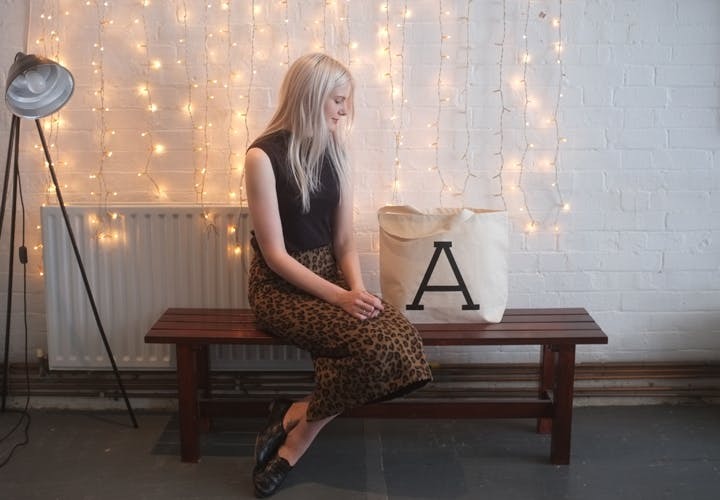 Last weekend we had a lovely day with the fantastic Fanni Williams who was shooting a couple of new Alphabet Bags collections which are coming soon. 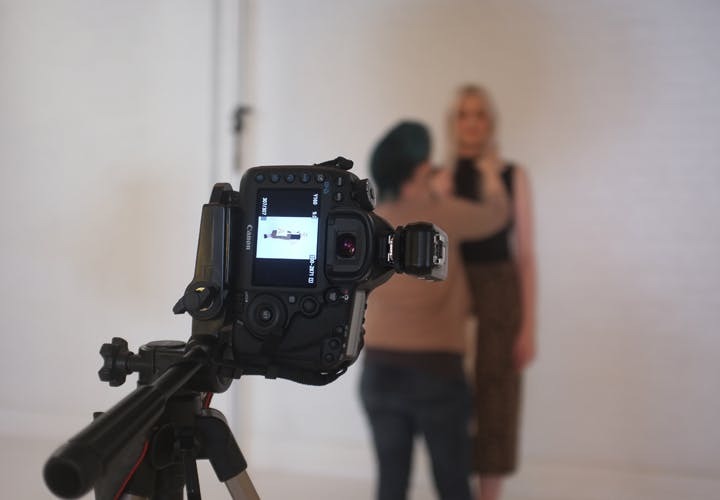 We love shooting new collections, it's always a really fun day and it's so nice for the two of us to get out of the office! We took our own camera along to snap a few behind the scenes pictures from the day. 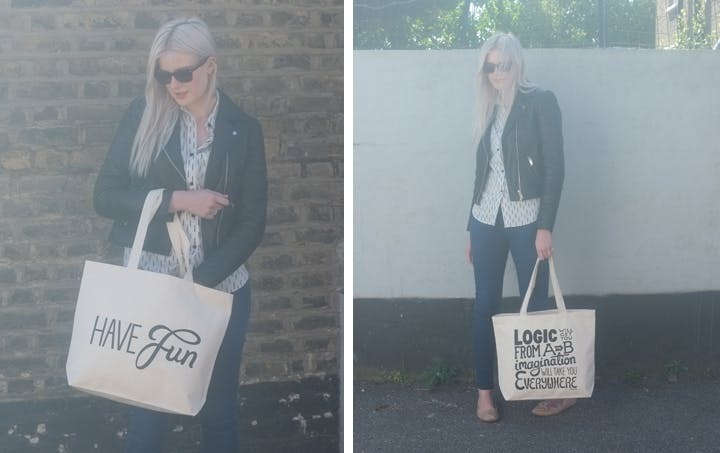 The lovely Alana modelling our new collection of big canvas totes. We have worked with Alana on a few shoots previously and it was great to get to work with her again. 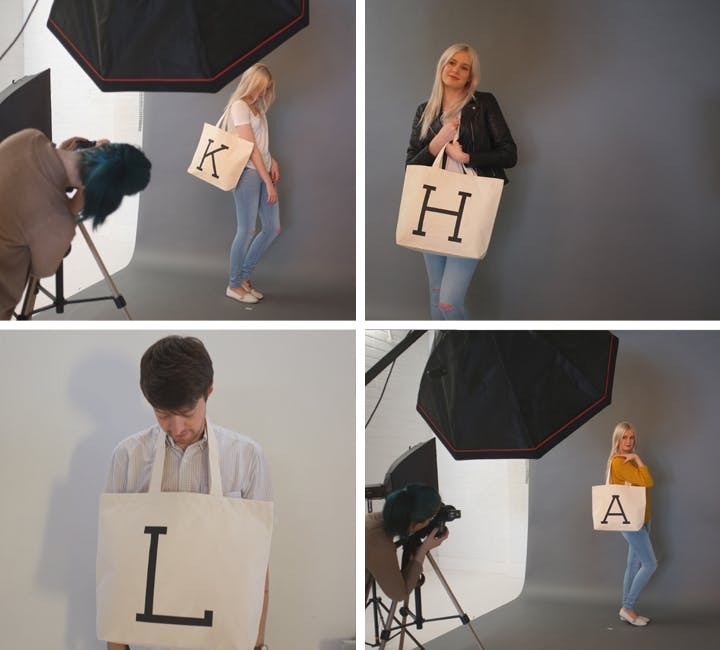 The main focus of the day's shoot was the big canvas totes. 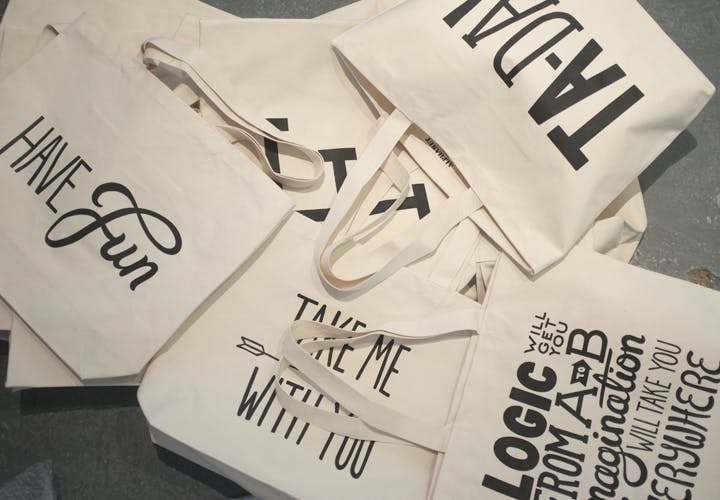 With all 26 letters of the alphabet, plus a few other typographic designs, there was quite a bit to squeeze in! 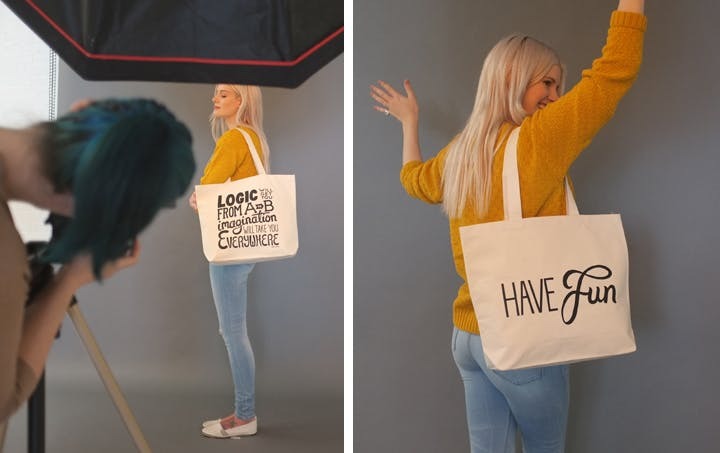 Bigger bags have been in the pipeline for quite some time so we're really looking forward to launching this new collection. Hopefully this will be in a couple weeks time so keep your eyes peeled! 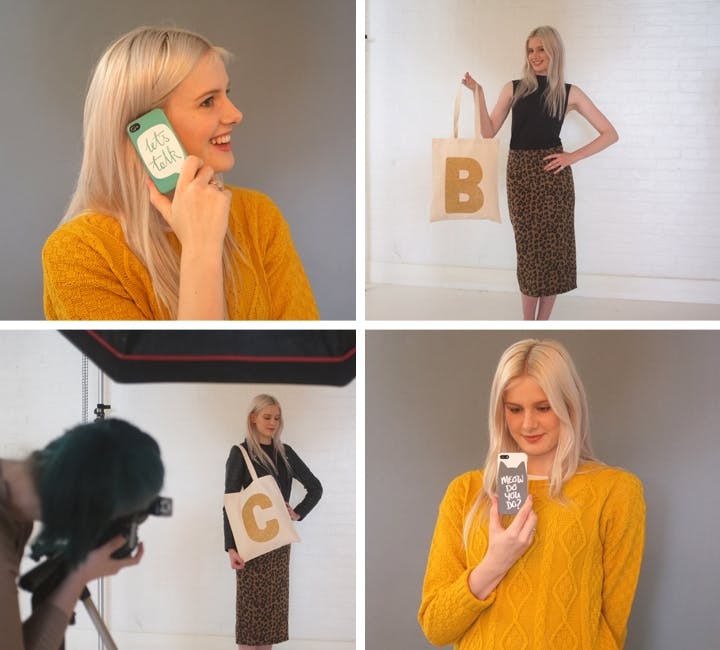 Some other items we shot included a collection of initial glitter totes and some new iPhone cases. It was a beautiful day so we were able to step outside of the studio for a few shots. 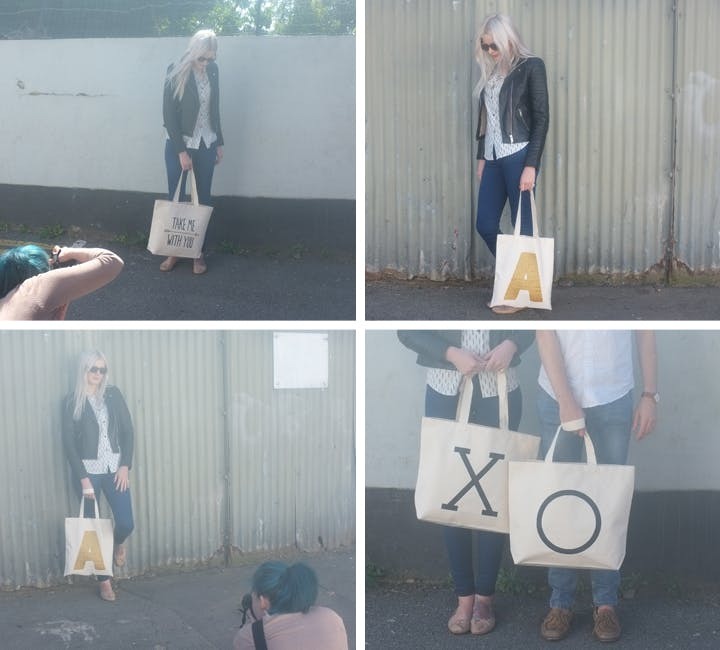 Lucas even stepped in to provide a pair of legs for our XO shot! Huge thanks to Fanni and Alana for a great day. 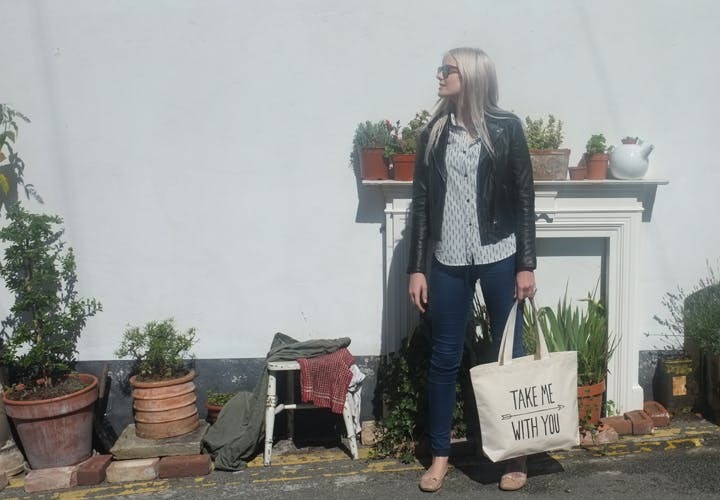 We're really excited to share Fanni's images from the shoot with you soon.